Gabby isn't the only one in tears this week as Lyrsa and her jacket exit the stage. 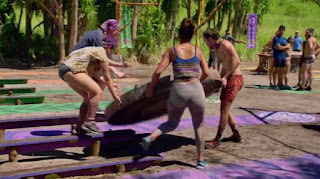 Find out why Colin is mourning and, with the merge looming, what might be in store for Johngelina, Brochachos, and whatever Nick's 57 alliances are called on this week's show, available below, here, or on iTunes here. Always Sunny is in Season 13. Gang Solves the Gas Crisis is one of my favorite episodes. Especially Charlie as the wild card wearing a cowboy hat. Also love the use of the word oevuve. Think I know what it means but not sure ever heard it pronounced before. Thanks to both of you for making the podcasts for us fans! Also not sure on proper use of hanged vs hung. Grammar not my strong suit. Decent vocabulary & spelling although auto correct & spell check have taken their toll. 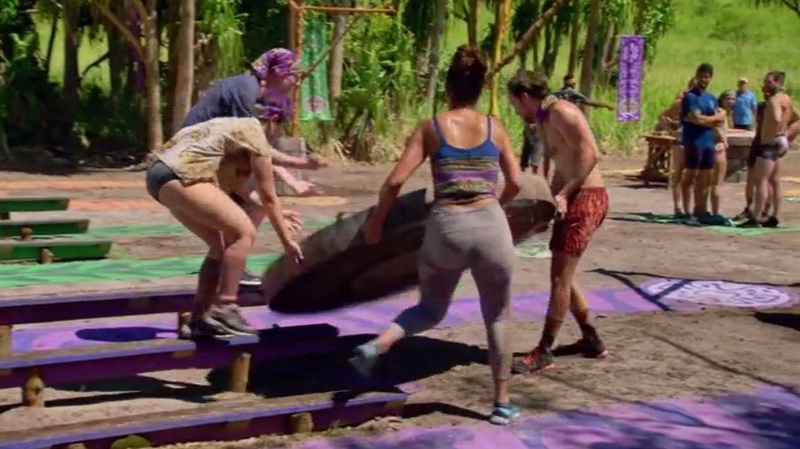 Didn't Angelina mention voting out Christian on next week on Survivor? I think kara took over Jessica peets position in by buddying up to Carl. He seems to like the young blonde girls being the father figure of the tribe ..